A few years ago I helped out on an underwater project that was entirely voluntary, so not a single person was getting paid and I certainly didn’t receive a penny and was the underwater operator on the shoot. The HSE diving inspector stopped by the production teams home as he’d got wind of the project, and after an hour of chatting to the production team left them in no doubt as to their responsibilities and therefore the requirements. The way the HSE inspector saw the project, despite it being voluntary, was that everyone on the crew had a motive to be involved to further their careers. He also commented that the production team themselves may have potentially sold the film once it was finished, and that was the financial connection made right there despite no-one getting paid. The production team were told to manage the shoot under the HSE approved code of practise, and yes that is our team on the front cover of the publication! 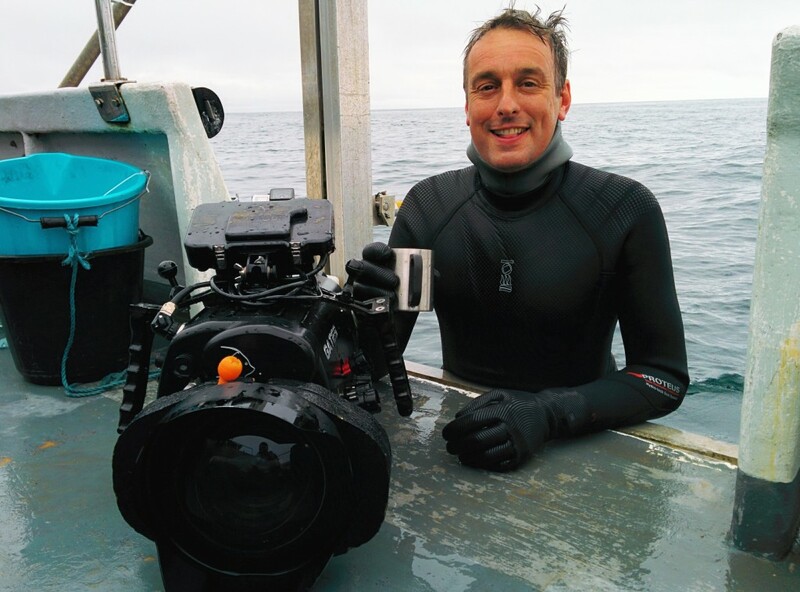 Dive Contractor – usually a company that carries insurances, writes risk assessments, and has the suitable equipment for underwater filming projects. The safety diver, camera operator, dive presenter and any in water artists all need to have an in date and valid HSE diving medical as well. 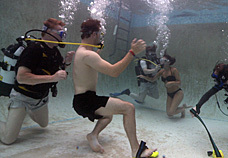 Interestingly though, artists and presenters don’t need to be qualified divers in pools and/or studio tanks, but the film and safety team need to have the HSE Pro Scuba course as mentioned above. 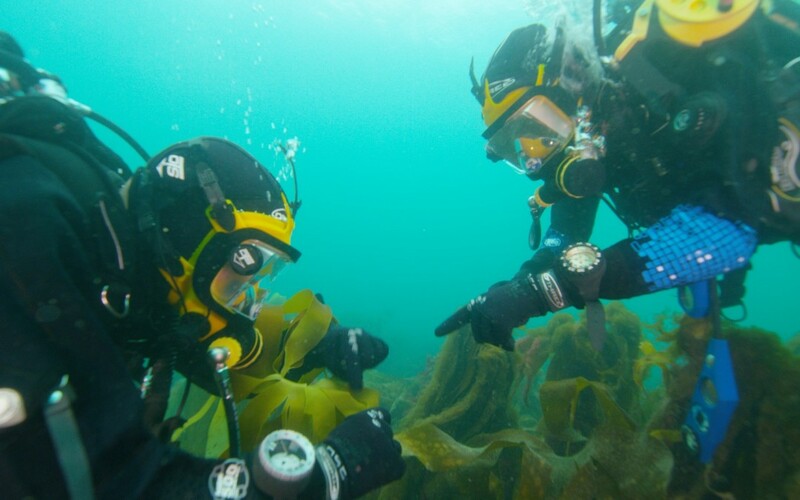 The equipment the dive team use is nearly always provided by the dive contractor as it needs to be documented in their equipment service records, and the contractor will also provide a method of underwater communications for the team so that the supervisor can talk to the team from the surface. 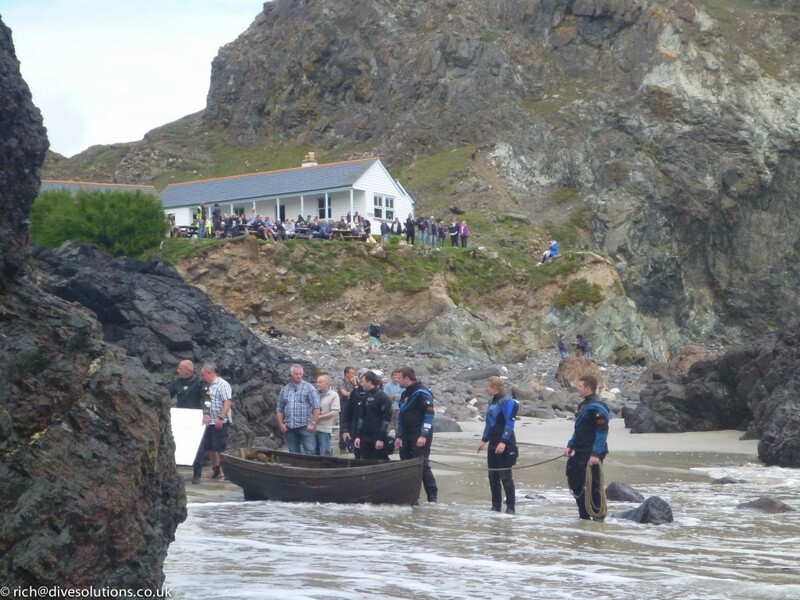 The picture at the top of this blog shows 2 HSE trained divers using Guardian full face masks on a TV shoot from a couple of years ago. The equipment is made in the US and features through water wireless transmitters and receivers that allow anyone using them to talk to each other, and to the supervisor on the surface, very useful and efficient way to work in an environment where we can’t communicate naturally. 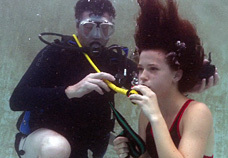 The contractor will also provide a safety bail out diving cylinder for each dive team member to use in the event of an emergency, this is why you often see presenters on TV wearing a small cylinder attached to their main rig, it may look cumbersome but it provides essential safety for everyone involved in the project. 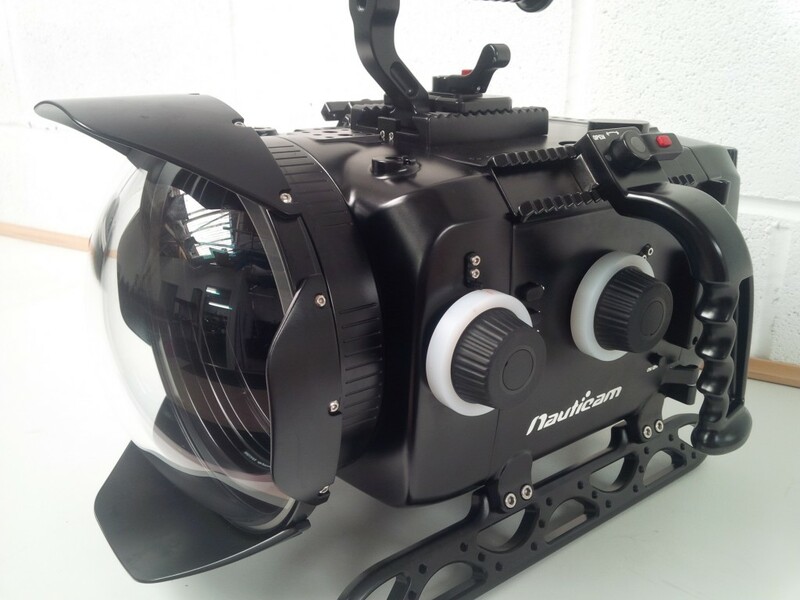 Anyway hopefully this has helped anyone considering putting together an underwater production in the UK, and as always if you’ve any questions please drop me an email to rich@waterproofmedia.co.uk or give me a call on 07876 256 353. If you’re a diver looking to start work in the underwater media world then check out the few companies in the UK that do offer the Pro Scuba course, a simple google search will find them, and the best companies are the ones that actually engage in media work themselves, so do your homework first and don’t plump for the cheapest!